Are you worried about elements like fake news and malicious trackers that are out on Facebook to steal your private data? 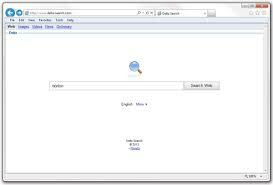 With the new year already started, it’s time to learn the tips to keep your Facebook private and secure. What started out as the first true social media network for connecting with friends, family and meeting new people, so much more today. Facebook started a wildfire among the online world and brought about a digital revolution, but this freedom has come at the cost of privacy. To help you keep your private data away from prying eyes, here are the top 5 tips to keep your Facebook account private and secure. To get started on your crusade to a more private Facebook account, start off with the options that the website provides you with. On the top-right corner of the screen where your Facebook username is located, tap on the gear-shaped Settings icon. 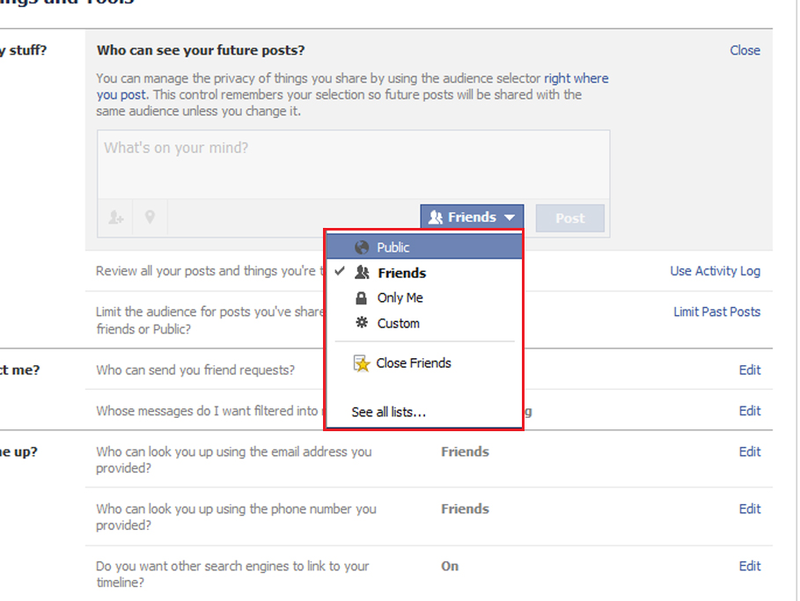 By clicking the “Edit’ button next to each of these options, you can choose the option to keep your information “Public”, available to “Friends”, “Only Me”, “Close Friends”, or create a “Custom” selection to share your Facebook profile. If you use your Facebook credentials to log into apps and games on your mobile device, all of your personal data is shared with those apps. While you may want to trust some apps with your personal data, removing the apps that hold your Facebook data is a smart step. 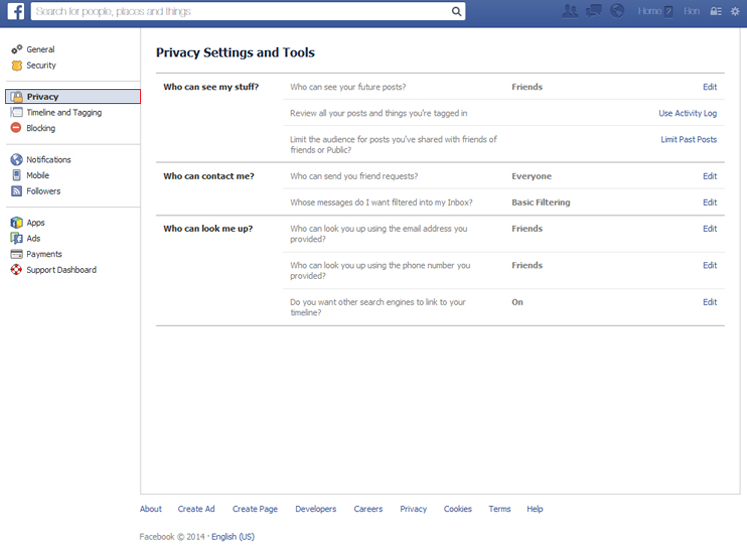 From the Settings menu on the Facebook website, you will find the “Apps” section down in the menu section on the right. This section enlists all the apps that you have used to log into using your Facebook account credentials. Tap on the shady apps you find here and edit the information you wish the app to be able to fetch from your Facebook profile. The way Facebook makes most of its revenue is by targeting users with personalized advertisements, which aren’t as fun as they seem. If you are tired of leveraging your personal data to help Zuckerberg make a quick buck, you can put an end to it without leaving your favorite social media website. Head back to the same Settings option using the gear-shaped icon on the navigation bar and scroll down to find the “Ads” tab near the bottom of the right section. 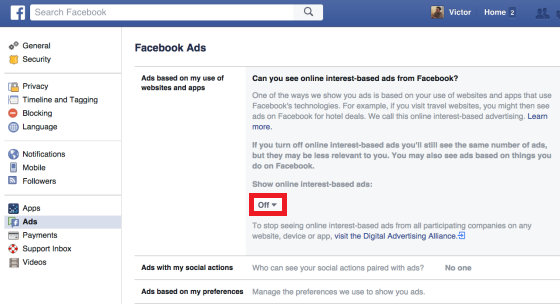 Under the first option that says “Ads based on my use of websites and apps” click on the toggle menu and select “Off” to stop the so-called interest-based ads from Facebook. Stalking and Facebook are almost synonymous, and most of your private information is being leaked over by someone you once probably knew. Be it a crazy ex-girlfriend or just a not-so-friendly neighbor, blocking certain users on Facebook will do you good. 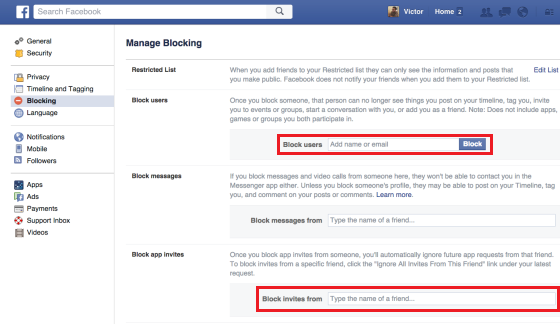 From the Settings menu, head over to the “Blocking” options from the sidebar and use the “Block users” option to enter the name or email address of the user you want to detach from your Facebook account. While you are in there, feel free to use the “Block app invites” if you are tired of all those relentless notifications from your friends who won’t stop sending you livestock on Farmville. While all the privacy options mentioned above will help you prevent sharing your personal information with publicly, your old photos and media is still out for grabs to all those stalkers. To make sure that your old images where your friends tagged you aren’t available for public viewing, you need to head back to the Settings. From the Privacy section where you see the option “Who can see my stuff?”, you can see the option to limit the audience for posts that have been shared with friends, friends of friends, or the public. 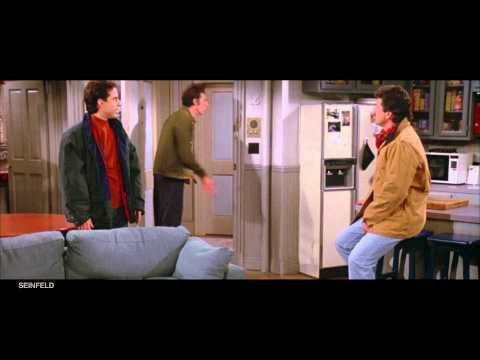 Tap on “limit past posts” and confirm by pressing the “Limit Old Posts” button you find at the bottom to hide all your older posts in your timeline. These top 5 tips to make your Facebook private and secure should help you enjoy your favorite social media portal without trading anything. If you have any other good privacy option for Facebook to share, do so in the comments section below. great tips for facebook users…this information will be very useful for everyone especially the females…who want to keep their profile visible for their friends only….1!